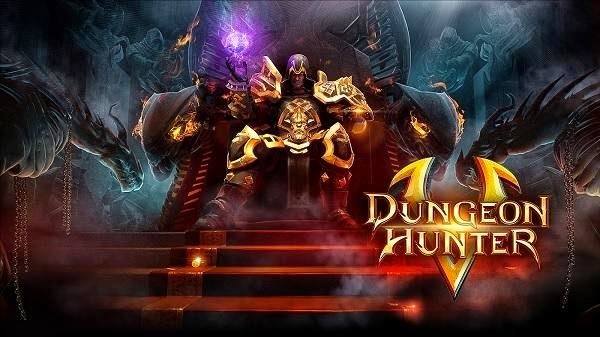 Entertainment & Games - Dungeon Hunter series has entered the fifth series is one of the flagship series, and, of course, Gameloft Asphalt and Modern Combat. 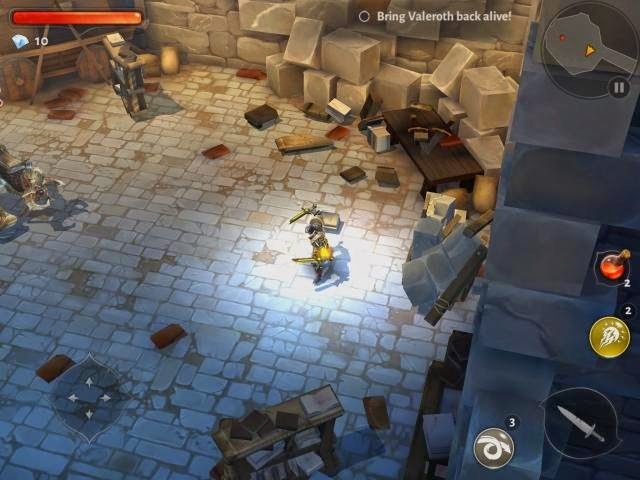 Themed games hack and slash takes the story forward Dungeon Hunter Dungeon Hunter 4. At 5, you still will play in the world after the events of Dungeon Hunter Valenthia 4. You will act as a hunter guild where you will be given one task after another task is done to look for money and other property. 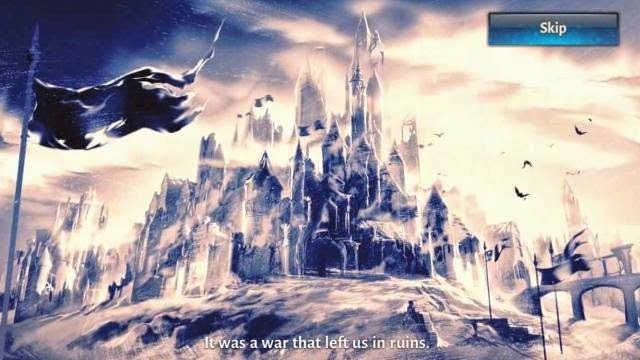 At the beginning of the story your guild headquarters raided by the enemy after a traitor in your guild. As a result, the leader of the guild will be killed, and you are given the confidence to become a leader and after that the real game begins. You will begin to receive the mission after mission which shall be closer you with the traitor. Strangeness also occur because of the undead reappear when they should have been destroyed in Dungeon Hunter 4. The way the game is still the same as the in-App Purchase somewhat better. If you ever play the game of this series or hack and slash padau mumnya, you will feel familiar with how to play Dungeon Hunter 5. You can attack enemies with weapons, magic, and skill. As a game that comes for free of course you will find many in-App to facilitate you to continue the game. In-App is useful here to buy a gem, open the chest (assorted weapons and armor), refill stamina, increase inventory slots, and as a shield to keep your headquarters (stronghold). Hah, keeping the headquarters? 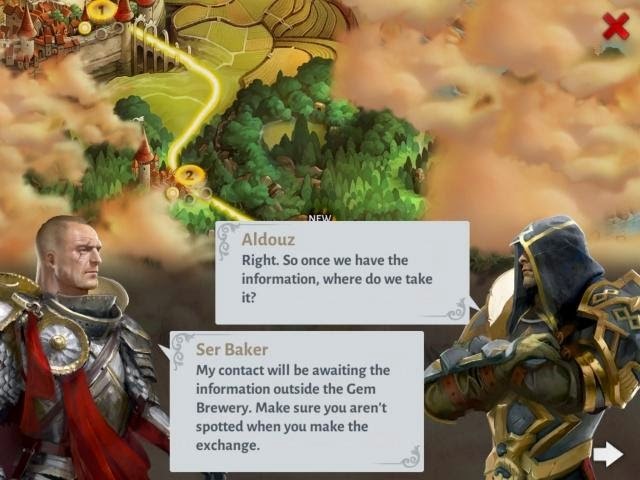 Yes, Dungeon Hunter 5 introduces a new game system that Stronghold. Stronghold is essentially a guild headquarters should you watch from the invasion of other players. Instead you can also invade other players guild headquarters to get money and items needed for fusion guard stronghold. To keep the stronghold, you can wear a shield or guard put up monster. Well this monster can guard you can at the end of each mission along with a variety of money and other weapons. As was said earlier, one way to add a powerful addition to leveling up your character is to improve the ability of weapons, armor, and skills. The trick is not to grinding (yes that one way too anyway) but with fusion and evolution. 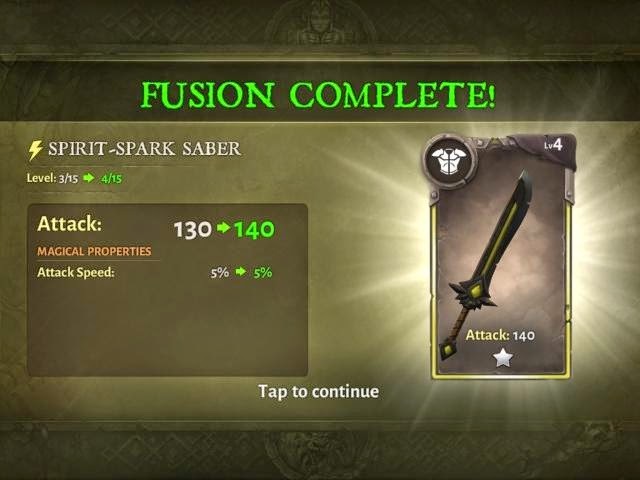 Fusion is a way to increase the power weapon by combining multiple items, while evolution is useful to raise the level of your weapon using the required items. Talk about the graphic performance of Dungeon Hunter series is not in doubt. Although still slightly below say Vainglory, Dungeon Hunter 5 still has quality graphics triple A. It is directly proportional to the storage capacity overflowing. In the App Store, Dungeon Hunter 700anMB size but when installed and played this number will swell to more than 1,2GB. It's easy. Download this game immediately and in-App purchase necessary (do not buy too GPP) if you like this game genre. That's it. No Comment to " Dungeon Hunter 5: Game Hack and Slash Best in Opening 2015 "